Monday, Jan 19, saw an impressive gathering on campus of the Class of ’70, with nearly 100 alumni in attendance, along with about 50 spouses. The ’70 batch has always been well-networked, meeting annually at exotic places & reliving their memories. A close-knit camaraderie is evident among the classmates, and results in boisterous, fun-filled reunions. This one was no different. Kumaran Sathasivam, alum & co-aouthor of the IITM Coffee Table Book, “CampasChimes”, narrated IITM’s history in rhyme, with rare visuals. Tushar Dutt released his book titled “Naughtical Tales”, recapping his IITM & Navy days. Daljit Singh, the long-distance runner, was felicitated by his batchmates. There were serious presentations as well- by Dean-Students, Prof. MS Sivakumar, on student counseling measures on campus, the Director’s address and following Q & A, addresses by Dean, I & AR and President, IITMAA…. Later in the day, the first of the 2015 Distinguished Alumnus Awards was presented to Prof. Periannan Kuppusamy, Ph.D. Chemistry alum from 1985, and now Professor in the Department of Radiology and Medicine, Geisel School of Medicine at Dartmouth College, New Hampshire, USA. 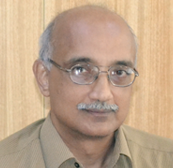 Dr. Kuppusamy was a pioneer in connecting the technologies of imaging and EPR (Electron Paramagnetic Resonance) Spectroscopy, giving rise to the EPR Imaging field, which still has only a few expert practitioners worldwide. To highlight another facet of Dr. Kuppusamy’s contributions, his development and production of multilingual (Tamil/English/French/Malay) multimedia software for learning Tamil language and literature has enabled the Tamil diaspora to stay connected to their roots. 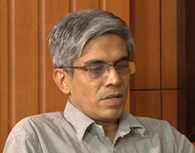 His contribution to the digital Tamil revolution has been recognized by a Doctor of Letters award conferred in June 2012 by the International Tamil University.